This entry was posted in Denture Cares, Oral Care and tagged Denture, partial denture, permanent dentures, teeth on July 20, 2011 by SH. This entry was posted in Cleaning Dentures, Dentistry Directories, Denture Cares and tagged affordable dentures, dental bridge, denture adhesive, denture cleaner, dentures, immediate dentures, mini dental implant, permanent dentures on October 19, 2009 by Dr Erica Tan. With the advancement of today’s technology, many people are turning to permanent dentures to fill in the missing gaps in their mouth. Permanent dentures would include fixed dental prosthesis (dental bridge) and implant-supported prosthesis which are artificial substitutes that are not readily removable from the mouth. Closely resembling real teeth, they will result in a very naturalistic look. This entry was posted in Denture Cares and tagged dental bridges, dental implants, malaysia, permanent denture cost, permanent dentures, permanent dentures price, united states on September 29, 2009 by oileng. Dentures are artificial teeth placed inside the mouth to replace missing teeth for better function, speech and esthetics. Sore gums are often the main complaint of a denture wearer. A denture that is not fitting properly may have pressure spots while functioning. Frequent pressure on these spots may cause sores and ulcers if they are not dealt with. Usually, you need to return to the dentist for review and they will identify the pressure spots and trim if off. If you have ulcers, the dentist would prescribe ulcer relieving agents. You can also apply aloe vera gel or eucalyptus oil or simply salt water gargling to speed up the healing. If the denture really does not fit well (hindering speech, difficult to chew, poor esthetic), you may need to redo a new one. As you aged, your jaw bone will resorb if there are no teeth to maintain its level. Thus, the denture would have to be relined, rebased or remade to fit the changing bony contours. This entry was posted in Denture Cares, Oral Care and tagged Denture, denture stomatitis, dry mouth, permanent dentures, sore gums on August 17, 2009 by Dr Erica Tan. The first thing that crosses your mind when you hear the word “dentures” would be the image of your gummy grandfather with his fake set of teeth. However with the advancement of today’s technology, anyone can get a denture when necessary and it is not only limited to old people. Dentures are actually part of fixed prosthodontics (placement of artificial devices in the mouth) and they can be removable dentures or fixed dentures (permanent dentures). This entry was posted in Cosmetic Dentistry, Denture Cares and tagged dental bridges, dental implants, oral hygiene, partial denture, permanent dentures on July 21, 2009 by Mian. 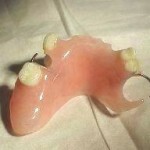 Dentures are acrylic based material which resembles your gum and teeth. 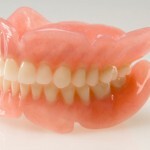 People need dentures due to loss of tooth or teeth. 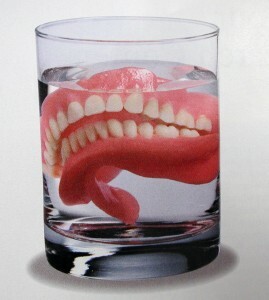 If someone lost one or few teeth, partial denture is required. Full dentures are for those who lost all their teeth. 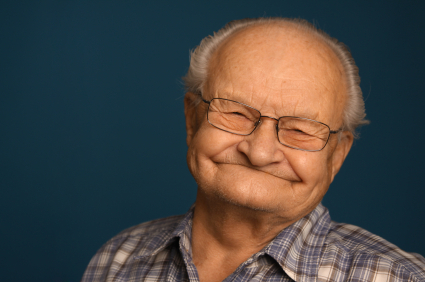 Lower dentures are meant for lower jaw and upper dentures are meant for upper jaw. From the past, dentures are solely removable. With the advancement of science and research, nowadays, people could have dental implants. 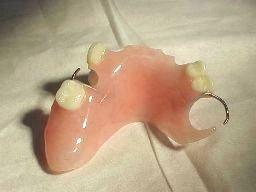 That is why permanent dentures are possible. What is a permanent denture? With the word permanent, it simply means the denture is not removable. 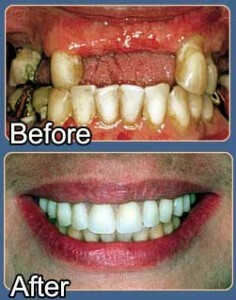 It is fixed to dental implants or your remaining teeth. Sometimes it is also known as fixed bridges. How to fabricate a permanent denture? This entry was posted in Cosmetic Dentistry, Denture Cares and tagged complete dentures, immediate denture, lower dentures, partial denture, permanent dentures, upper dentures on July 20, 2009 by Mian. Partial Denture – indicated for patients who have loss some of their natural teeth. Complete Denture or Full Denture – indicated for patients who have loss all of their teeth. This entry was posted in Denture Cares and tagged complete dentures, immediate denture, partial denture, permanent dentures on July 19, 2009 by Mian. This entry was posted in Denture Cares and tagged permanent dentures on July 4, 2009 by Mian.